With the addition of five to fifteen percent dry latex to dry cement, styrene butadiene, styrene acylic, and all acrylic emulsion polymers improve flexibility, reduce cracking, enhance adhesion to most substrates, improve water resistance, and increase hardness of latex modified cement pastes, mortars, and grouts. Additional benefits of using styrene butadiene latex emulsion as a cement admixture is that it provides excellent chemical attack and freeze-thaw resistance. When UV resistance is needed, an acrylic emulsion polymer resists premature fading and yellowing. Moreover, because an acrylic holds up well to oils and solvents, it is an excellent admixture for use in decorative concrete applications. Rovene 6023 is an all acrylic emulsion suggested as a polymer modifier for hydraulic cementitious mixtures for repair, basecoats for EIFS, decorative overlays and tile grouts or mortars. Rovene 403 is a low odor all acrylic emulsion that can be used as a polymer modifier for hydraulic cementitious mixtures for repair, basecoats for EIFS, decorative overlays and tile grouts or mortars. Tylac 4193 is a strong, yet soft and flexible styrene-butadiene concrete modifier. Tylac 4190 is a styrene-butadiene emulsion polymer recommended for use in concrete, mortars, grouts and cement mixtures. 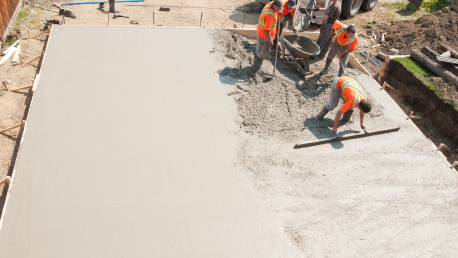 Tylac 4191 is a surfactant stabilized styrene-butadiene emulsion polymer with excellent cement compatibility for concrete, decorative overlays, grout and mortars. Rovene 4040 is a non-carboxylated styrene-butadiene emulsion designed for use as a concrete modifier. It is used as a tile grout mastic modifier where it enhances adhesion.